Setting Up Your Business Name - Chris Malta. There are a lot of mixed-up perceptions out there about what you should name your business and how you should register it. There are, of COURSE, all the EBiz "Nurus" out there who tell you that you have to spend tons of money to let THEM register your business for you in some other state, and spend thousands of dollars to do so. Please don't listen to the Nurus. In case you don't know what a Nuru is at this point, it's one of the thousands of so-called ebiz experts who pop up out of nowhere and claim to be an ebiz "guru". Then you check their domain names and find that they've been around for a grand total of 3 months, but they have tens of thousands of dollars worth of supposed ebiz education to sell you. Nurus are fake, and they lie. Don't listen. So let's talk about the truth when it comes to setting up and naming your business. First, I have to state for the record that I am not a lawyer or an accountant, so what I'm telling you is not to be treated as legal advice. 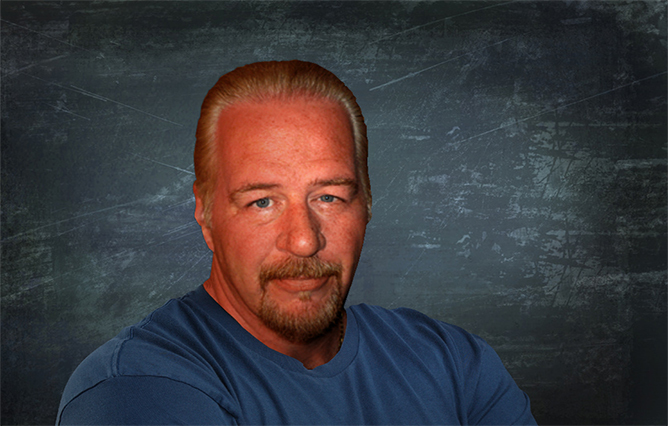 These are my experiences and opinions after over 40 years in business. If you want legal advice, talk to a lawyer or an accountant. With that being said, here are the facts...as I've experienced them over and over again...when it come to setting up your business within the United States. I'll get into what you should do from other countries in a few minutes. First, always set up your business in your own State. The State you RESIDE in. Nurus will tell you to set up in Nevada or Delaware or Wyoming to take advantage of amazing secret tax breaks, and other such drivel. While there are some differences in corporate law in those states, as a home-based business those differences aren't going to matter to you. Make no mistake; you're going to pay taxes, and you're not going to escape that fact no matter where you set up. When you grow to the size of Adidas or Disney, okay, you might want to consider some of those Nevada, Delaware or Wyoming, but until then keep it simple and keep it local. It's MUCH easier to deal with a business setup in your own state, and it's much less expesive to deal with your Accountant when your business is in your own state. Nurus only feed you that crap sandwich because they want you to think you need their VERY EXPENSIVE help. They'll charge you THOUSANDS of dollars to do something that doesn't COST thousands of dollars (they pocket most of that cash). Then they'll tell you that you need to pay for their ongoing "accounting services" in order to manage your magic, tax-free company. In some states, Accountants can set up your business. In other states, an Attorney is needed. In NO state is it necessary to throw armfuls of cash at a Nuru. Second, DO NOT do this yourself. You're setting up a business entity that interacts with both state and federal governments. While you CAN simply download forms and file a business in any state in the US, you should NOT do that. If you do it yourself and ou make a mistake, most of the time that mistake won't be found at first. By the time it catches up to you, possibly even years later, you could find yourself owing penalties and fines that could cost you all the rest of the money you're going to make for the REST of your life. Governments LOVE penalties and fines. Like I said, though, do NOT listen to a Nuru either. You need to locate a well-known and trusted Accountant or Attorney NEAR WHERE YOU LIVE. Not in some other city. Having the ability to easily meet in person with the Accountant or Attorney who manages your business filings is a huge advantage. Third, SHOP AROUND. The fees for setting up businesses are set by your state. The costs you pay for your Account or Attorney are set by the ACCOUNTANT or ATTORNEY. Some are WAY more expensive than others, for exactly the same work. Don't be afraid to come right out and ask what they charge, and then shop around till you find that balance between a reputable professional and the fees they charge. Remember, the initial business setup isn't the only fee you'll pay them over the life of your business. You need to make sure you get a good hourly rate on your accounting and legal advice, because you WILL need more of it in the future. Fourth, consider the type of business entity carefully. The legal professional you choose will give you advice on this. My PERSONAL advice would be to go with a Limited Liability Company, known as an "LLC". There are 3 main types of business entities that can work for a home-based business. A "DBA", also called a "sole proprietorship" is the one that most people choose. It's quick, it's cheap, and it's easy. HOWEVER, with that type of business, your personal assets are exposed. That means that if you ever do have any serious legal issues with your company, the men with the black ties and the calculators can show up and take your car, your house, and clean out your bank accounts. It's NOT worth the risk, no matter how small the risk may be. The next business type is called an LLC, as I said. You can think of an LLC as kind of a half-way step between a sole proprietorship and a full-blown corporation. It has those legal protections in place for your personal assets, but it's not as complex or costly as a full corporation. It was created in Wyoming in 1977 and has spead across all the US states since then. The LLC, as I said, protects you in many ways without costing as much or causing as many complications as a Corporation. It's my business entity of choice, and is inexpensive to file and run. An LLC also allows you to write your own agreements and "by-laws", so to speak, as to how that business will be run within a loose framework, which makes it very flexible. The third general business type is called a Corporation. A full-on Corporation has many forms. They are all expensive, complicated, and cost much more to maintain. Personally, the ONLY time I would recommend a Corporation to someone is if you're going to have a business partner. A Corporation offers you more detailed remedies against a partner who does you dirty in some way in the future. I've been involved in several partnerships over the course of my decades in business. I hate to say it, but I have NEVER had a partner who didn't try to screw me out of money at some point. Some of them succeeded. It doesn't matter who the partner is. They can be the most trustworthy person you know, a lifelong friend, even a family member. PEOPLE GET WEIRD AROUND MONEY. Money changes people in ways you'd often never expect. If you're going to have a business partner, I would STRONGLY recommend that you talk to your legal pro about a full-on Corporation and a VERY detailed partnership agreement. Other than that, out of those three basic business types, my personal recommendation will always be an LLC. Fifth and finally, DON'T SCREW UP THE NAME. I see new ecommerce business owners doing that all the time. How can you screw up a business name? Well first, you could name it something that you personally think sounds really cool, like "The Purple Unicorn Company, LLC", for example. When you're in business, you have to remember that something YOU think is really cool could look really silly to some other people. You don't want your business name to be something that could be a negative for any of your customers IN ANY WAY. Second, you could name it for the product niche that you THINK you're going to sell. So if you call it "Milton's Baby Shoes, LLC", what happens if that product line doesn't work out in your research, or if you decide to sell in additional product niches down the road? People who might at some point buy a metal detector from you are going to scream "FRAUD!!" when they see the name "Milton's Baby Shoes" on their credict card receipt. Then they're going to complain to thieir bank, your merchant company is going to get a credit card chargeback, and you have a whole bit nasty mess to straighten out. If that happens often enough, you could actually lose your merchant account. That's the thing you use to collect money from your customers. Kind of important. The best thing you can possibly do is to choose a generic business name. "Smith Enterprises, LLC" is JUST FINE. You're not going to have a domain name for the business name. You're not going to have a web site for the business name. The only place people will see it will be in your website's copyright notices, and credit card receipts. Your actual product sales web site will be called something different, and that site name will be OWNED by your business. So ignore the Nurus, stay local, consult a legal pro in your area, strongly consider the LLC (unless you have a partner), and keep the name generic. If you do those five things, you'll be fine. I mentioned earlier that I'd talk about starting a US business from outside the US. This is a smart thing to do, because it makes it much easier to sell to the HUGE US market. In that case, you ARE going to want to use an online service, but stick with either LegalZoom.com or MyCororation.com. They're reputable, and they'll walk you through the process. Although most poeple don't know about the things we've talked about here, this is still EBiz 101-type information. 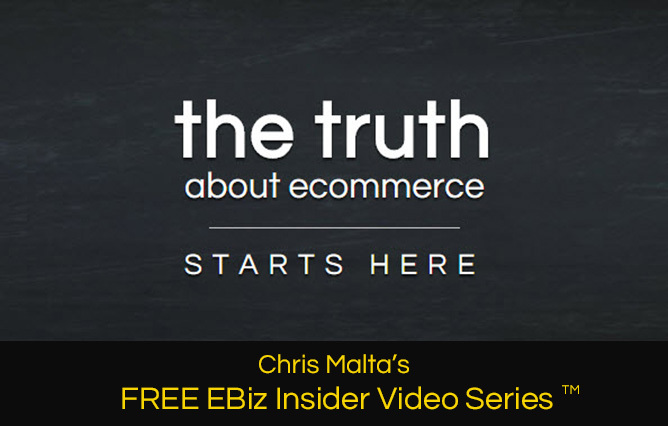 If you want to get to EBiz 10,005...check out my FREE EBiz Insider Video Series.